Our range of products include hr sheet coil, hr coil and hot rolled coils. HR sheet Coil offered comes in thickness choices of 6 to 20mm, width options of 600 and 1500mm or as demanded by the customers. Finding use in construction sector among others, these sheet coils come in industry standard choices of AISI, ASTM, DIN and others. Some of its features include choice of customization as per customers’ requirements, finding use in fabrication of vehicle, boiler, container vessels and others; choice of surface treatment like regular, zero spangle, chromate treatment, oiled and others; excellent stamping properties and others. 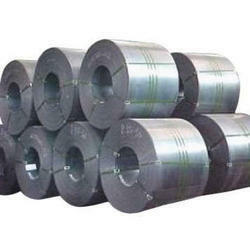 We are the leading trader and supplier of HR Coil(Hot Rolled Coils). We provide these coils to our clients at very reasonable price. Our vendors use quality material and advanced instruments to manufactures these coils at their premises. These products are available in different sizes, shapes and styles. Hot Rolled Coils offered come in quality construction finish and finds use in application areas including construction, transportation, manufacturing, mechanical and electrical equipment among others. These coils feature superior flatness as well as come with optimum thickness tolerance control through use of latest automated processing machines. Some of its features include choice of different surface treatments like chromed, oiled, un-oiled, dry and others; having galvanized finish that comes with superior anticorrosion properties, offering excellent machining performance and high stamping quality, smooth surface and flat panel finish among others.